Ongoing Care Solutions/NeuroFlex Inc. offers a complete line of orthoses, including the OrthoProTM Lumbar Sacral Orthosis! SADMERC-approved for Code L-0639; Available in sizes: Small, Medium, Large, X-Large, and 2X-Large. The Hammerhead is constructed from durable, flexible polymers. The paddle is captured by a strong flexible strap that is secured on top of the Hammerhead. In an emergency, the "T"-shaped handle in the strap allows for easy release. The Hammerhead duplicates the unique biomechanics required for kayaking. It "feels" like an anatomical hand controlling the paddle by providing energy-storing, resilient flexibility, yet it allows for blade feathering" and precise paddle control. The Hosmer Oscillator Knee is a 5-Bar Glide-Flex polycentric knee with a rotary hydraulic control system. It has an independent flexion and extension adjustment and an adjustable stance flexion stability. The high-strength aluminum alloy on the Oscillator Knee is rated for 300 lb. with a one-year warranty. It's more than meets the eye--the Oscillator Knee from Hosmer. ESP created the AEGIS Ultimate Liner as a more natural alternative for your patients. The pre-flexed design insures an anatomically correct and custom-like fit, maximizing comfort and mobility. The AEGIS Ultimate Liner is available in five sizes, including two new: X-Small (New); Small; Medium; Large; X-Large (New). SystemTM maximizes the effectiveness of the toe springs and provides energy return in a low-profile foot. Three PerforMaxTM heel springs provide variable heel action and customization. 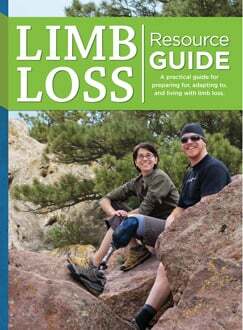 Applicable for L3 and L4 amputees with body weights to 250 lb. Available in foot sizes 23 through 31 cm, with heel heights of 3/8 in. and 3/4 in. The Lamprey Gun Turret was designed for the M-16, but functions well on sporting carbines, bolt action or lever action rifles, over and under, side-by-side, pump style and semi-automatic shotguns. It has a lockable ball and socket to allow firing from a variety of positions and a pivoting platform for smooth gun rotation. A flexible synthetic polymer "yoke" conforms to various stock surfaces without marring. 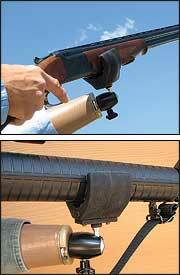 It snaps onto the forearm of the stock and can be pulled back tightening up for precise control. For adolescents or small adults, an improved, larger-size SWASH Low Profile now is available. The new SWASH Low Profile II uses a padded iliac extension that can be positioned in one of two places: it can be fit immediately above the iliac crest between the crest and the inferior angle of the costal flair, or between the ASIS and the greater trochanter to minimize any tendency toward lumbar flexion when sitting. The uprights for all sizes are 8mm diameter, providing added strength to manage very high tone, plus allowing cuffs to be interchangeable among all sizes. LTI's Boston Digital Arm System has been further improved with more control strategies to accommodate the capabilities of individual users. The unique Boston Arm features a microcomputer onboard, which processes myoelectric signals and monitors sensors for relative body movement. It manages up to five devices (elbow, hand, wrist, shoulder lock, etc.) and provides feedback to the user. It was the first system to provide simultaneous control of the elbow and terminal device and a new code (L-7181) has been issued for this feature. The elbow's superior strength and speed make it the users' choice for more independence at work and home. Our latest innovation in microprocessor knee technology--activate it and walk around: the SmartIP programs itself! The SmartIP adjusts to the optimum function as it automatically detects what is happening during the gait cycle. At any time, the wearer can activate the knee and re-program to suit specific activities and environment. Cascade Orthopedic Offers M-PACT Plaster Products — Now IMPROVED! M-PACT® plaster products now have a higher thread count in the gauze substrate, resulting in increased plaster content and enhanced uniformity. M-PACT plaster bandages are available in fast-setting, extra-fast setting, and elastic bandage formulations. They are designed for rapid wetting, excellent lamination, and strength with consistent quality to assure a uniform set-time. Natural materials make these bandages environment-friendly. Available in widths from 2 in. to 32 in. M-PACT plaster splints offer the same quality and performance as the plaster bandages and come in pre-cut lengths for easy use. Available in 15-in., 30-in., and 45-in. lengths. Ossur's unique Total Knee®, designed to bring a fluid, natural gait with excellent security and stability, is available from SPS. The design creates a "locking moment," keeping the knee from collapsing in full extension. The knee is completely locked and secure until the user's body weight moves onto the toes of the prosthetic foot. It then unlocks for a smooth transition into swing phase. The polycentric design imitates natural knee motion; the adjustable "stance-flex bumper" acts as a shock absorber. 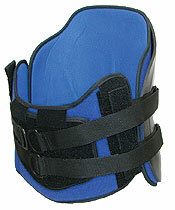 SPS introduces the cost-effective CompressorTM Orthosis providing maximum abdominal support with ONE easy pull. 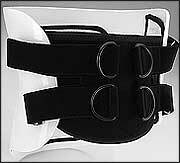 Part of the California® Soft Spinal System, Orthomerica's Compressor Orthosis incorporates a patented closure mechanism providing simple, quick abdominal compression to improve compliance and independence from caregivers. Indications include acute and chronic low back pain, spondylolisthesis, and lumbar disk injuries. Many O&P practices are making it easier for patients to achieve optimal outcomes by giving them the opportunity to pay with CareCredit, the nation's leader in patient payment plans. With popular 3-, 6-, 12-, and 18-Month No Interest Payment Plans and 24-, 36-, 48-, and 60-Month Low Interest Extended PaymentPlans, CareCredit offers high approval rates, easy enrollment, and credit decisions in seconds, so patients can start care immediately. CareCredit guarantees payment within two business days, even if the patient delays payment or defaults, reducing the risk and cost of carrying accounts receivable. 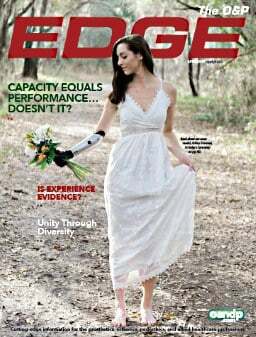 Designed for activity level K2 amputees, the new Endolite Navigator foot is perfect for day-to-day activities. The Navigator offers a realistic ankle joint position for a more natural look and feel and controlled ankle motion for a natural and symmetrical gait. Integration of ankle parts minimizes the height of the foot and its lower build height (3½-in. clearance) maximizes individual assembly options. The plantarflexion angle is increased to 12 degrees to mimic natural ankle function. Snubbers, ankle balls, and foot shells are easily replaceable to maintain excellent function and cosmesis. Limited three-year warranty. Socket Suspension the Way YOU Want It! The Alpha Interlock Suspension System delivers versatility in one simple package. After installing a single distal adapter into a socket, practitioners gain the ability to interchange suspension methods from a pin lock, a lanyard lock, or a suction device without remaking the socket. Distal adapter can be used in laminated or thermoplastic lower-extremity socket designs. Purchase as kit or as individual components. All parts have a one-year warranty from purchase date against defects in material and workmanship. Weight limit is 250 lb. (115kg) for all system components. 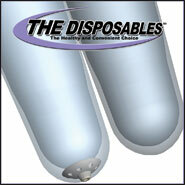 THE DISPOSABLESTM are designed to be worn for a specific time, thrown away, and replaced with a FRESH LINER! Pin Liners now are available, along with Cushion Liners, with Matrix in sizes 17; two Cushion or Pin Liners per package. Eastern, three-day shipping for the price of ground, and a flat overnight shipping fee of $20. Tamarack Habilitation Technologies Inc. has developed new, compact flexure joint hardware--Tamarack Variable AssistTM model 743--which allows easy, continuously variable adjustment of the dorsiflexion-assist moment. The design allows the practitioner to adjust the assist moments of the 742-L and 742-P dorsiflexion-assist flexure joints to any value from zero to nearly three times what is possible with standard installation. SPS now distributes SPT's Composite Matrix System, specifically formulated to complement carbon and fiberglass composite materials. 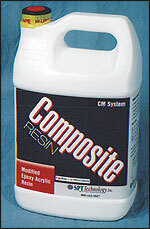 CM System is THE choice of orthotic and prosthetic professionals due to its unique modified epoxy acrylic resin structure, which complements carbon and fiberglass composite material characteristics. The NEW formulation has been enhanced to saturate layup materials thoroughly, while remaining easy to work with during and after lamination. Secondary grinding or finishing steps are easy and produce a smooth, even finish. The one (1) gallon kit is conveniently packaged with the resin, granular promoter (to ensure there are no "hot spots"), a measuring spoon, and directions for use.